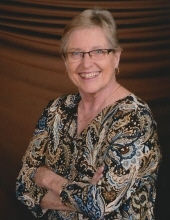 Sharon M. Fedoruk, 69, formerly of Berrien Springs, died Thursday, Jan. 17, 2019 at her residence in Battle Creek. Mass of Christian Burial will be at 11 a.m. Saturday, Jan. 26, at St. Gabriel Catholic Church, Berrien Springs. Visitation will be 6-8 p.m. Friday, Jan. 25, at Allred Funeral Home, with a Rosary at 8 p.m., and 10-11 a.m. Saturday at the church. Online messages for the family may be left at www.allredfuneralhome.com. Memorials may be made to Five Pines Christian Camp (www.fivepines.org). Sharon was born Dec. 25, 1949, in Battle Creek, the daughter of Wilson and Edna (Jordan) Barber. She earned a Master’s degree and had been an educator for Berrien Springs Public Schools, Alternative Education and the Berrien County Juvenile Center. In addition to caring for her family, she was involved in Burnham Brook singers, Girl Scouts (leader), Five Pines Ministries, 4-H (leader), church youth group, LaLeche League, after-school “Rocks”, and she housed seven exchange students. Survivors include her husband, Richard of Battle Creek; sons: Joshua of Woodstock, Ga. and Zachary of Berrien Springs; daughters: Emily Patterson of Battle Creek and Kate Kondor of Kyiv, Ukraine; seven grandchildren; brothers: Steven Barber of Kalamazoo and Lee Bylsma of Walker, Mich.; and a sister, Beverly Mercer of Hastings, Mich.
To send flowers or a remembrance gift to the family of Sharon May Fedoruk, please visit our Tribute Store. "Email Address" would like to share the life celebration of Sharon May Fedoruk. Click on the "link" to go to share a favorite memory or leave a condolence message for the family.